Product #21304 | SKU 824927 | 0.0 (no ratings yet) Thanks for your rating! 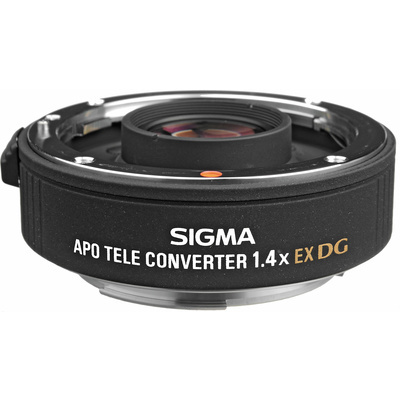 Extend the reach of your telephoto lens with this APO Teleconverter 1.4x EX DG from Sigma for Canon EF-mount cameras and lenses. This model will increase the focal length by about 40% while only losing 1 stop of light in the process. It also retains communication between the lens and camera, allowing users to use automatic metering and autofocus. Additionally, this teleconverter has a multi-layer coating that reduces flare and ghosting for sharp, clear imagery. The DG denotes an added coating that achieves the best colour balance while cutting down on ghosting caused by reflections from the digital image sensor.